Baby Rhino Ratu at Baby Rhino Rescue | Adopt and Donate Now! A young calf was spotted near his mother’s body and he was darted and transported by helicopter for a sleep over at the Kruger bomas, before being taken in a crate to CFW. He was moved to the quarantine night pen for a day to settle and the next afternoon, he was allowed into the boma area where life felt a little more normal with soft grass under his feet and the fresh branches to chew on. 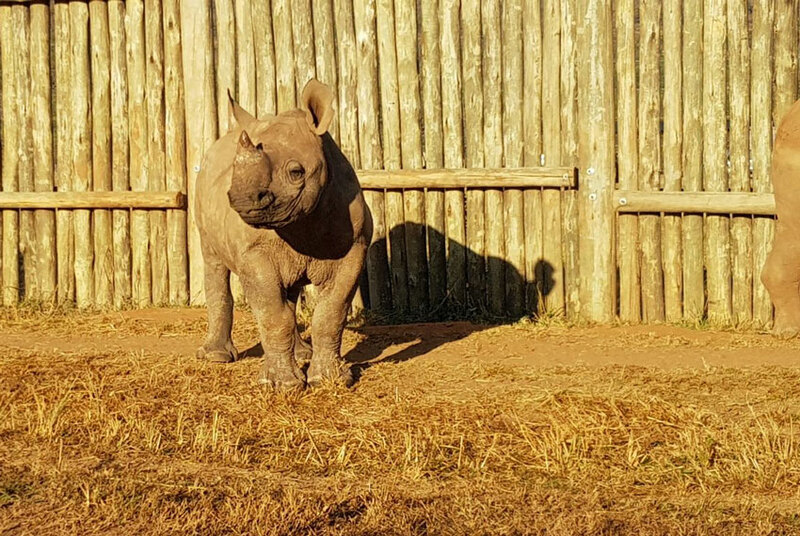 Named Ratu, he was introduced to the other two young, orphaned black rhino calves, Phoebe and Badger. Phoebe, the older female, was a bit nervous with the introduction of Ratu, but Badger seemed happy to have another bull around. 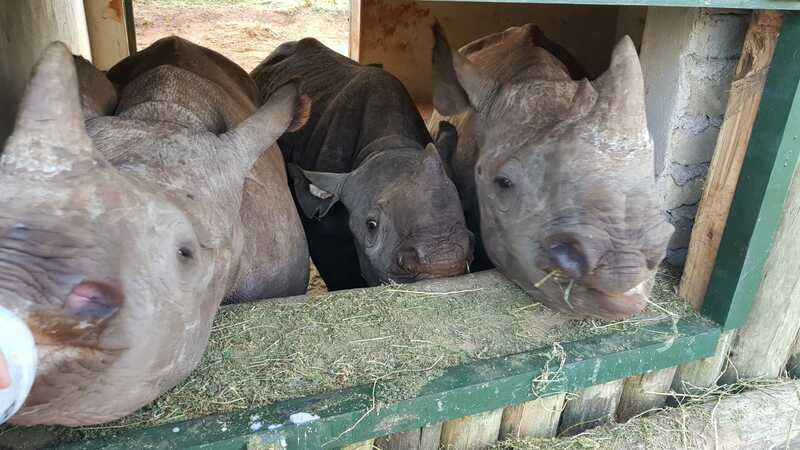 Now Ratu, Badger and Phoebe share a boma where they eat, sleep and play, happy in their new rhino crash.